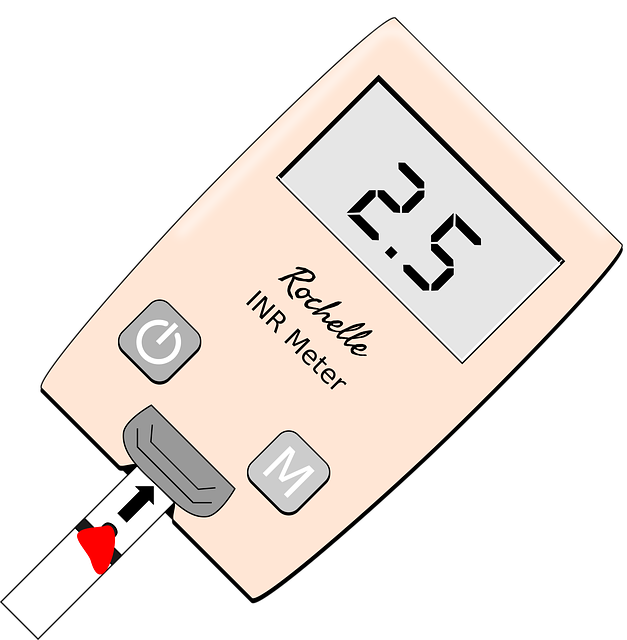 Type 2 diabetes is a chronic illness characterized by the body’s inability to effectively process insulin, resulting in consistently elevated blood sugar levels. Unfortunately, diagnosis of this disease is reaching epidemic proportions in the United States. Once patients are diagnosed, they get a laundry list of medications and practices that merely slow the disease’s progression, not improve it. This reality is leaving many patients wondering what, if anything, they can do to reclaim their health, avoid diabetic complications, and reverse the course of the disease. The good news for type 2 diabetics is that medical science is learning new information about the disease, its progression, and its root causes every day, and there are things that diabetics can start doing right now to start reversing their diagnosis. 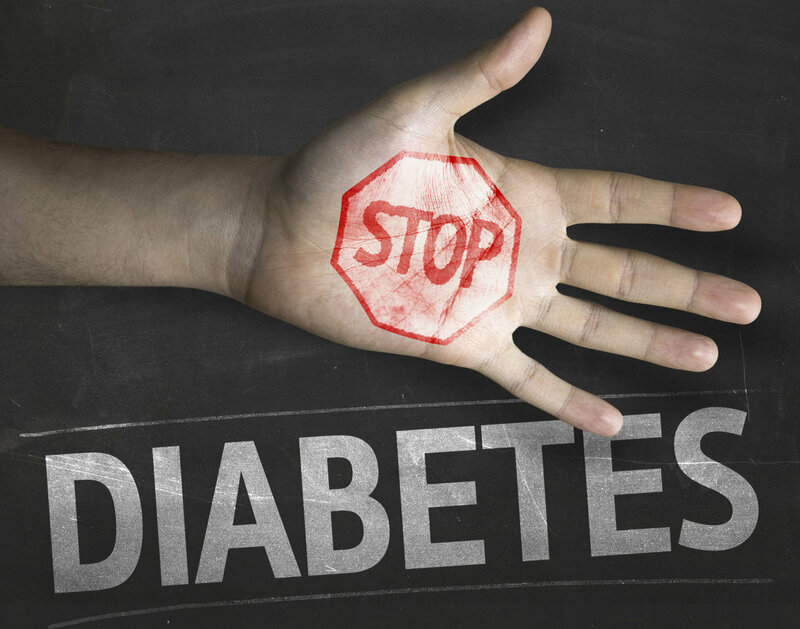 Check out these five tips for halting the progression of diabetes. This can be an incredibly difficult change to make in your life, but it’s absolutely one of the most important steps you can take towards reclaiming your health. Soda, juice, sweet tea, lemonade, and other sweetened, sugary drinks are jam-packed with refined sugars that will cause blood sugar spikes. If your body is already struggling to process carbs and sugars properly, you need to take steps to eliminate unnecessary sugars from your diet. After all, the cold, hard truth is that no one needs soda in their diet. You’ll also be cutting a lot of empty calories as you eliminate these beverages from your life, so don’t be surprised if you lose some weight, too! I know what you’re thinking — what?! I thought fat was bad?! You’re right… kind of. Not all fats are created equal. Unsaturated fats are actually good for you! You want to start incorporating more healthy, high-quality fat into your diet, like olives, avocados, nuts, seeds, and fish. These foodstuffs tend to be loaded with Omega 3s, which help to reduce the risk of heart disease, a serious diabetic complication. What’s more, studies indicate that people who added more healthy fats to their diet lost more weight than those who chose to start eating more healthy complex carbs, so don’t worry about packing on extra weight with increased fat consumption. It can be really frustrating to be told that you just have to exercise, exercise, exercise to lose weight and get healthy — most of us don’t have a ton of extra time to dedicate to a new fitness regimen and can feel easily overwhelmed trying to figure it all out. But research is showing that movement is movement, and committing to even the easiest exercises can dramatically improve your overall health. Try low-impact movement like walking or stretching, and feel free to break it up into short segments. Three 10-minute exercise sessions are just as good as one 30-minute stretch. Not only will high-quality proteins make you feel full while you’re eating dinner, making it less likely that you’ll put more carbs on your plate or reach for that dessert, protein will also keep you fuller longer, reducing unhealthy snacking. Proteins stabilize your blood sugars, too, so don’t skip this food group at any meal. And reds, and yellows, and purples, and oranges… actually, just eat the rainbow. No, we’re not talking about Skittles candy; we’re talking about a colorful variety of vegetables, of course. Not only are vegetables a healthy way to fill up, they’re chock-full of nutrients – and the fiber in vegetables is good for healthy gut bacteria. Research has discovered a correlation between the state of gut health with the diagnosis of type 2 diabetes, so make it a goal to eat five servings of different colored vegetables each day. If you or a loved one has been diagnosed with type 2 diabetes, you know the devastating effects that this disease can have. Not only do they feel they struggled physically, but mentally as the feeling of hopelessness takes over. The traditional health care plan that is used to treat has not yet caught up to the advances of today’s science. There are changes you can make today to improve your symptoms and potentially reverse your condition. Countless patients seeking alternative health care options such as functional medicine have benefited from these clinical models with proven results. Stop believing that your type 2 diabetes is a life sentence. There is hope. Start by making these changes above: eliminate sugary drinks, eat more healthy fats, get out and move, make protein a priority, and add more greens. Your diet is a crucial piece to this treatment puzzle. Make the changes to properly fuel your body and reduce your symptoms. Then look into functional medicine, and how it can help you live a healthier, happier life. 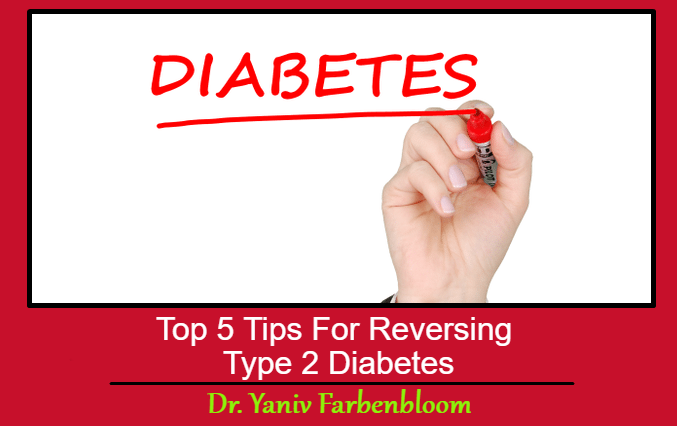 This Concludes: Top 5 Tips For Reversing Type 2 Diabetes. What Did You Think Of This Post? Please Let Us Know By Rating Below! Dr. Yaniv Farbenbloom is the Clinic Director of Integrative Health Center located in Los Angeles, CA. He has devoted his practice to functional medicine and helping patients with type II diabetes reverse their disease.